It’s no secret Messiah is up to something big, given the blocked sidewalks, numerous detours and bright, yellow colored hard hats around campus. 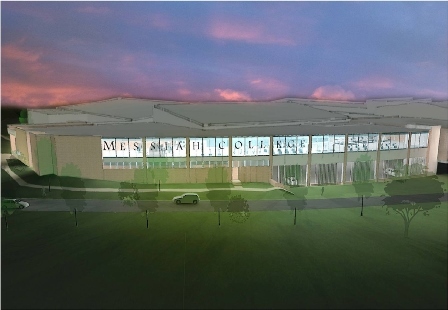 There’s an upside to all of this construction work – Messiah’s campus will soon be the proud owners of an updated, larger and more organized sports complex. This comes in due time as the gym and weight room can feel cramped at times with multiple sports teams working out. 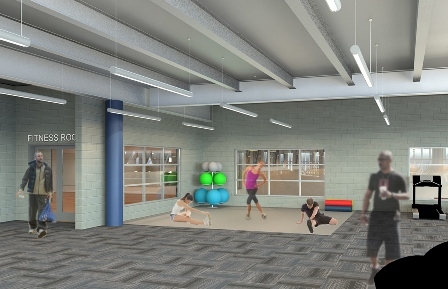 According to Kathie Shafer, Vice President for Operations, plans to update the facilities in the Sollenberger Sports Center have been in the making for several years, and included an ultimate goal of renovating both the indoor and outdoor spaces. “The plan was to look at all our needs for students, not just athletics. One of the objectives to this plan was to find a way to provide a fitness center for the campus community,” explains Shafer. 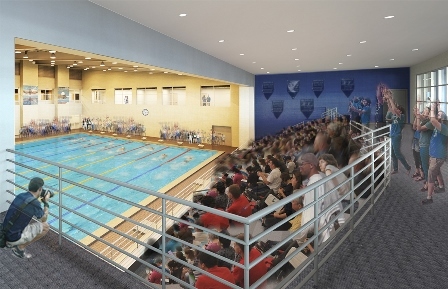 The athletic facilities will soon cater to not only athletic teams but to the student body and community as a whole. 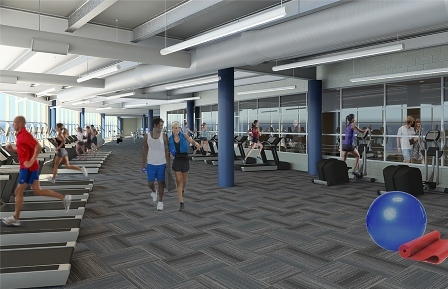 To visualize a big picture of what is coming out of this update, Shafer listed the improvements which range from a fitness center that incorporates cardio equipment as well as weight room equipment. This means the existing weight room will be closed and the cardio equipment will be removed from the indoor track. 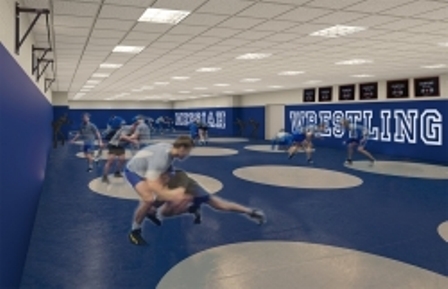 Shafer also detailed that the plans include two new gyms with new courts, spectator seating for the pool, an expanded wrestling room, offices for the Health and Human Performance faculty, and a remodeled Hitchcock gymnasium with a new floor and scoreboard, not to mention additional locker room space. These slight changes are huge, especially for those who know the current pool seating situation as well as the limited locker room space. So while the dive well will be missed, it will eliminate having to set up folding chairs for swim meets each week. While it is easy to identify how Messiah’s athletic teams will benefit from this update, it is important to remember that the rest of the student body will benefit as well. “With increased space, more equipment will be available to use. Also, with a lease program the college will be able to provide current workout equipment,” explains Shafer. 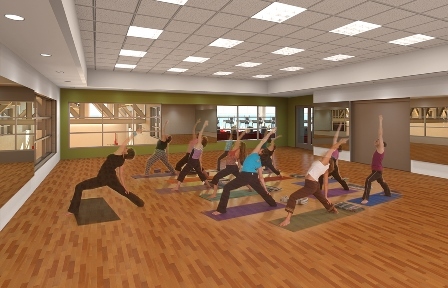 Aside from making it easier for students, faculty, and the community to meet personal exercise needs, the updates will also benefit the rec and club sports teams as well. 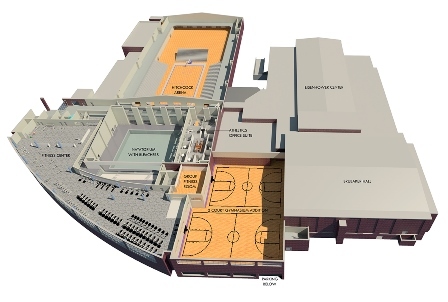 With new gym floors and more spacious courts, it will be more enjoyable for the teams to compete with one another. Shafer spoke for administration when she says that these renovations will better meet the health and exercise needs of the campus. Shafer also indicated that this multi-million dollar investment is expected to be completed September 2017, with the official construction start date to be this coming spring, March 2016. To help fund this investment, the college is raising funds as well as borrowing the remainder. Shafer noted that the college’s natural gas project has allowed the college to save money, which will aid in paying back the money that is to be borrowed. Shafer will be the woman behind the emails giving the student body important updates regarding the construction and informing the campus of changes as they may arise. So while the current construction situation is a little bit of an adjustment, it will be worth the wait, because it eliminates finding someone doing squats in your face while you’re on the bench press.